The JAMISON 5X8 Handcrafted Rug by Oriental Weavers at Miskelly Furniture in the Jackson, Pearl, Madison, Ridgeland, Flowood Mississippi area. Product availability may vary. Contact us for the most current availability on this product. Designed to coordinate with Tommy Bahama Home Fabrics, Jamison is a collection of handcrafted area rugs made of natural wool. Jamison has a heavy, dense pile with special texture for added warmth and dimension. 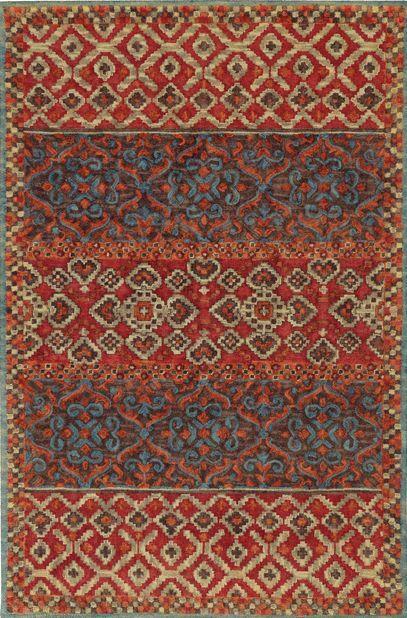 The beautiful, global motifs of Jamison add character to any home. The JAMISON collection is a great option if you are looking for Rugs in the Jackson, Pearl, Madison, Ridgeland, Flowood Mississippi area. Browse other items in the JAMISON collection from Miskelly Furniture in the Jackson, Pearl, Madison, Ridgeland, Flowood Mississippi area.